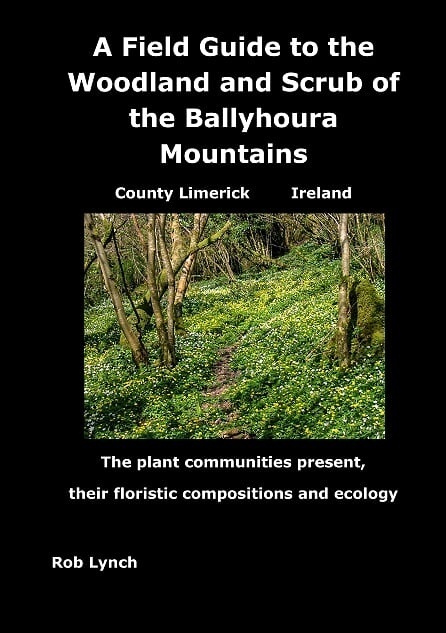 A Field Guide to the Woodland and Scrub of the Ballyhoura Mountains, Limerick, Ireland: The plant communities present, their floristic compositions and ecology. 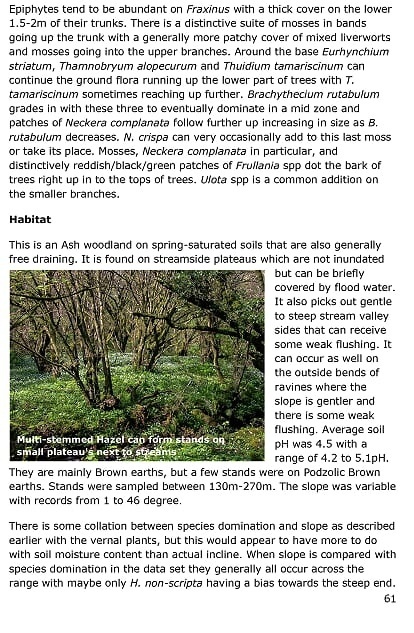 Although the scope of this Guide is limited to the Ballyhoura Mountains in County Limerick, it is hoped that it will open up the fascinating world of upland woodland and scrub in other parts of Ireland to the reader. 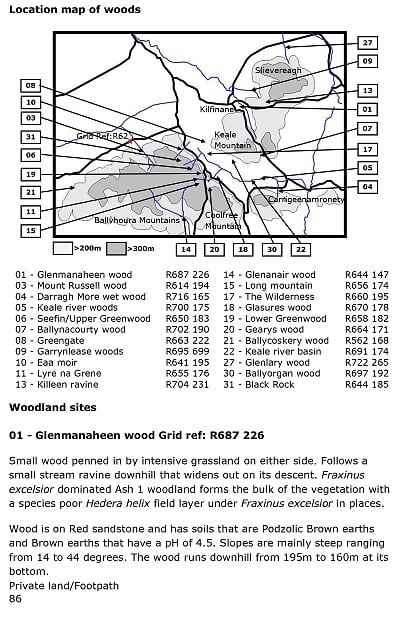 The main habitat left for woodland in the Ballyhoura Mountains are stream valleys and ravines and they have a complex hydrology and topology. 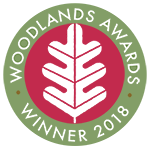 This can produce a very rich and diverse wood with a sometimes confusing mixture of different communities.The Guide will help you turn an upland woodland comprised of individual plants into different assemblages of plants forming distinct communities. 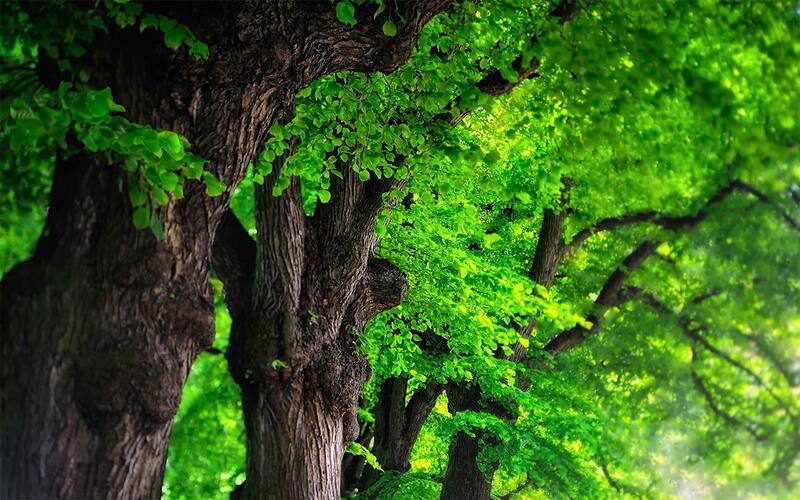 Once your eyes start picking out these patterns in plant distribution you will never view upland woodland in the same way again. 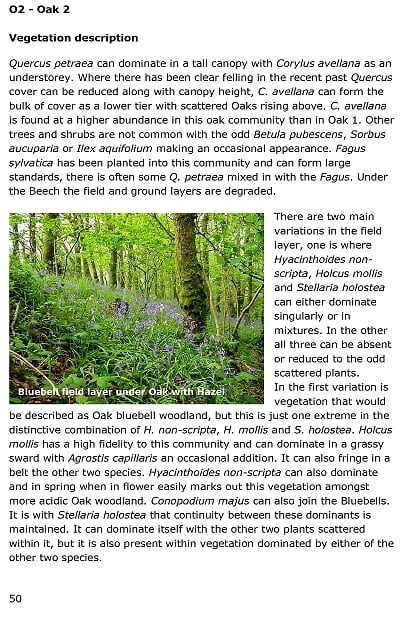 Coourl photos, maps and graphs. B&w tables.